Are you are a Personal Trainer looking to Increase your Client Base? Do you know what you are Missing out on by not using LinkedIn the Right Way? Discover How to Leverage the Awesome Power of LinkedIn to Get More Leads, Clients & Referral’s For Your Personal Training Business...for Free. Forget spending Money on Costly Facebook Ads! This Linkedin-Mastery System Will Show You, Step-By-Step, How To Get Your Ideal Clients for your Personal Training Business For Free. What Other Professionals Are Saying About The Linkedin Mastery System! "Before starting Linkedin Mastery I didn't really see Linkedin as a great source of new leads or growth for our business. Linkedin Mastery has opened my eyes to the huge possibility that lies within Linkedin for business growth in the fitness industry and getting a consistent stream of new clients/ members. The training is thorough, in depth and has follow along action steps that make it all very easy to implement. This is without doubt the best course for getting clients and growing your brand with Linkedin I have ever seen for personal trainers, online coaches or anyone looking to grow a fitness business. Tim Saye Director of PT Distinction"
"Until I did this Course I had never known about the huge potential or Linkedin To help me grow my fitness business". I am now permanently using Linkedin as part of my strategies for generating highly qualified prospects into my business. In my opinion this program is way under-priced for what it can do for your fitness business. "I'm confused; isn't Linkedin just a B2B Networking Site to Post my Credentials? 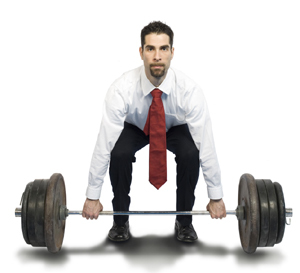 How can I Use it To Get Clients For My Training Business?" It was the same question going through my mind when I first discovered LinkedIn. Do you offer PT Services and Want to Learn a Proven System to Attract Highly Qualified Leads, Most Likely to Sign up to Your Services? Do you offer Sessions, Workshops or Bootcamps and Need to Learn How to Use LinkedIn to Flood your Business with Clients? Do you offer or want to offer Corporate Training/Coaching and Want to Land that Big Corporate Client who will Pay You the Big Bucks? Have you had your LinkedIn Account for Years but Not Yet Seen it Generate Any Meaningful Business? Do you Currently have Hundreds (possibly thousands) of LinkedIn Connections But Not Sure How to Turn Them Into Paying Clients? Have you sent out a lot of LinkedIn Invites and Messages, But Aren't Getting Any Meaningful Responses? Have you purchased training programs in the past from self-proclaimed LinkedIn 'Gurus and Experts' who claim authority but have no results to back it up? If you said 'YES' to any of the above, then the Linkedin Mastery Training Program Will Help You Utilize LinkedIn to Generate Leads and Profits for your Business! Are You Frustrated With Spending Money On Advertising With Zero Return? 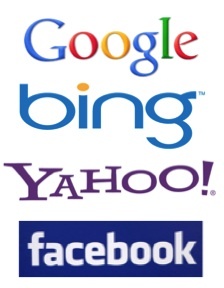 Facebook, Google, Yahoo & Bing Advertising can cost you a fortune to generate qualified Leads. LinkedIn on the Other Hand...is FREE! A LinkedIn Training Program Designed Just For Personal Trainers and Coaches Like You, To Help You Grow Your Connections and Convert Them Into Paying Clients. My name is Janak Patel and I’m the co-founder of Digital Fitness Marketer Magazine & the HealthMastery Group. Just like you, My partner, Nalisha and I are Fitness Pro's. We've been in the fitness industry since 2005. Since that time, my partner and I have used LinkedIn to attract clients for face-to-face personal training services, sold thousands of fitness e-books, acquired large corporate clients for our corporate wellness program and sold our online personal training programs worldwide. Due to demand, we also attract and coach other Fitness Professionals on how to grow their business, and form profitable partnerships through LinkedIn. Don't Take My Word For It...Here's Proof That I'm Getting 1427 New Connections Per Month. These Are Qualified Leads Interested in My Professional Services. Without Any Advertising Costs and Using Only Linkedin...for Free. I spent countless months racking my brain trying to figure out how to attract qualified prospects into businesses using LinkedIn. I purchased a lot of different training programs promising to show me how to get more leads. I watched endless hours of Youtube clips looking for that one LinkedIn Hack that could help make LinkedIn profitable and to get more clients. I followed guidelines and filled in my profile like they told me to. I joined a few groups and found a few people on LinkedIn that I knew and connected with them. Zero prospects, Zero clients, Zero Connections and Zero Cash! After spending thousands of dollars on training and left frustrated, I decided to step back. I started researching more about LinkedIn. LinkedIn is a B2B (Business to Business) network. Not B2C (Business to consumer). This means it’s great for people who want to network with other business owners. I was trying to sell my fitness services to consumers. I needed clients for my face-to-face personal training business and wanted to get new clients for my online personal training programs. If I was going to succeed at getting prospects and clients for a fitness business using LinkedIn, I had to re-engineer everything from the Ground Up and design my own unique system. LinkedIn Is A Gold Mine Just Waiting To Be Tapped, But Most Professionals Are Mining It All Wrong & Just Digging Up Dirt. For months I struggled trying to figure out a system that would attract clients into the various niches we served. If you want to post your resume on Linkedin and HOPE that someone finds you and gives you a job, then great. LinkedIn might work for you, but you will be at the mercy of maybe being seen by the right people. The real money on LinkedIn is made by attracting your own clients into your own business. If you want to build a serious Personal Training Business with an endless supply of Qualified Leads and generate increased profits, then you need to work the LinkedIn Gold Mine a little differently…. or you are just going to hit a whole heap of rocks. Here’s why you need to be on LinkedIn as a PT…. Forget about Facebook and Twitter! Linkedin Is Growing Faster Than Both of these Platforms Combined. Whoa! How is this massive opportunity being overlooked?! I set out to re-engineer my entire LinkedIn Strategy…. After testing out strategy after strategy through trial and error, I tried to generate Leads for my business services and programs. I started seeing some amazing results. More people started connecting with me. My profile score on LinkedIn Skyrocketed. And I was attracting a lot of qualified prospects into my business from all over the world. I’m now getting 1400 New connections per month and a constant flow of new leads into my business. Engagement with my articles are through the roof. And I’m generating a lot of new leads, clients and referrals for all our businesses and services. My Articles Get Massive Engagement! More Engagement = More Leads! I Had Finally Cracked the LinkedIn Code.….But Something Was Still Bothering Me. ....and without taking hours of time each day away from what I really wanted to be doing – helping professionals succeed in business. You see; hundreds of coaches and trainers out there were asking my partner and I how we built a global health and fitness business so quickly. 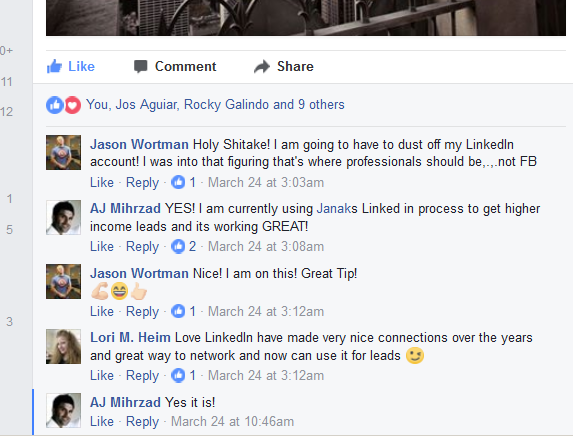 So I decided to compile everything I had learned about getting leads from Linkedin into one simple, step-by-step system. I made sure to leave absolutely nothing out because I wanted you to have the power to start using the system immediately to bring qualified, ready-to-buy customers to your Personal Training Business. A Powerful Proven Step-by-Step System to Leverage LinkedIn To Radically Boost Your Number of Connections, Leads and Clients for Your Personal Training Business... for FREE! Linkedin-Mastery gives you the power to start using LinkedIn today to attract new connections who are genuinely excited about your PT Business Services… and who will enthusiastically tell their social networks about you! In this training system, you will learn everything you need to know to massively increase your connections and generate a lot of new leads for your training services and programs like never before… …and to bring in clients 24 hours a day, 7 days a week, all without massive ad expenses! Here’s Just a Sample of What You’ll Learn When You Dive Into The LinkedIn Mastery System Today! You’ll learn how to set up your LinkedIn account the RIGHT WAY, to Prime your Business for Leads and New Clients. All while Avoiding the Costly Mistakes that Make your Profile a Dud! You’ll Learn Which Subtle Elements to Use on Your LinkedIn Profile to Magnetically Attract your Ideal Clients to Connect with You. Discover How to Target Specific LinkedIn Profiles Most Likely Interested in your Services. Want to Partner with a Large Corporation to offer your Services? I will show you how we’ve done it successfully in the past. Offer online Training? Learn the Step-by-step Formula for Attracting and Converting the Ideal Prospects into Paying Clients. Discover How to Build the Ultimate LinkedIn Lead Funnel that will Turn a Prospect into a Connection and then into a Paying Client! Discover why Linking to your Website homepage is the Worst Move you can Make, and Exactly what you Should Link to Instead! You’ll find out the Secret for Posting Engaging Content to your Ideal Prospects and How to Get Them to Start Calling You. You’ll Learn Exactly Which Times of the Week to Post Content for Maximum Engagement! You’ll Learn How to Create a LinkedIn Profile with an “All Star” Rating for your Personal Training / Coaching Niche. You’ll Learn How to Locate, Engage and Market to Your Ideal Prospects...Leading to Signing on Clients and Boosting Profits. You will receive the Exact Template I use to Achieve a 59% Connection Rate When Send out a Connection Request Invitation. You’ll learn the Specifice Strategies to Generate 1300+ New Connections per MONTH on your Linkedin Profile! You’ll Learn How to Use My Proven “Done-for-You” Message Invitation Templates Guaranteed to Attract your Ideal Prospects to Connect with You. Discover the Tools and Software Used to Automate Your Linkedin Marketing Strategy and set it on Autopilot So You Can Focus On Other Areas of Your Business. Learn How to Leverage the Enormous Power of LinkedIn Groups to Explode your Connection Requests. Learn How to Reach those 3rd Level Connections Without Having to Burn through your InMail. Should you Upgrade to a Paid LinkedIn Account? Discover the Advantages and Disadvantages of both. What to do when you run out of connection invitation requests. Learn how to effectively market on Linkedin Groups without being perceived as a Spammer! Each Module of the Program will be delivered to you Online through your own members-only section of the website. You can access your members area anytime and have access to view the content for the life of the course. If You Don’t Love it... I’ll Buy it Back off You! If you know me or have been on my email list, you would know about the unique lifestyle I have. You see, my wife and I have been traveling the world full-time for the past 5 years. We have the freedom to live and work from anywhere as we work from our laptop. Over the last 5 years, we’ve lived in over 67 Cities and 27 Countries around the world, thanks to the profits we’ve generated from our online businesses. LinkedIn has played a critical part in giving us this freedom. With LinkedIn, we can attract new clients in any country on the planet, and Virtually on Demand. I’ve done my best to make sure the LinkedIn Mastery Training system gives you a simple, repeatable way to generate a consistent flow of clients for your own PT Business. I’m sure you’re going to absolutely love how easy it is to attract hundreds – even thousands – of prospective clients into your fitness business funnel every single month. I want you to be confident with your purchase. So here’s what I propose: Try out the LinkedIn Mastery Course today and see the results for yourself! Use the system to its fullest and apply what you learn. Start generating new leads and build your connections faster than ever before. If within the first 30 days you can honestly tell me that you’re not thrilled with any aspect of the system and that it didn't produce any results for you… I insist that you contact me so that I can refund every single cent of your investment. Honestly, I can’t imagine any reason why you wouldn’t want to keep bringing in quality connections with almost zero effort. If you do decide that the course isn’t for you, you’ll get your money back. Start Attracting Leads, Clients and Referrals with the LinkedIn Mastery System! Stop Struggling to Leverage LinkedIn in your Business. Discover how LinkedIn is the ULTIMATE Social Media Platform for Attracting Highly Qualified Prospects who are ready and willing to buy your PT Services. Before you Scroll all the way down to the “Order Now” button… I want to tell you about something else that I know you’re going to be very excited about. at Absolutely NO Extra Charge! BONUS #1: Corporate Client Attraction Secrets. How Much is Just ONE New Client in your fitness business Worth to You? If you offer a 12 week program, this could mean around $1200 - $2000 worth of business for you. That's from just one converted lead! Getting just 1 client from this course would more than DOUBLE your investment in it. What would 1 corporate partnership formed as a result of this program be worth to you? It could be hundred or worth tens of thousands of dollars in revenues. Imagine landing that 1 big corporate client who gets you to train all their employees for a whole year. Can you imagine what a contract like that would be worth? How Much Money Are You Leaving on the Table if You Don’t Learn the Strategies on this Training program? When starting out, I personally did LinkedIn training programs costing upwards of $6000. .....But I’m not even going to ask you to invest anywhere near this! I’m not even going to ask for $1997, which is the standard price for my other programs. I want to genuinely help you explode your coaching business profits using LinkedIn, so I’ve decided to make it super affordable for you. You’re getting an entire proven system that can help you dramatically grow your customer base for your PT Training Business… while giving you more time and freedom to enjoy your profits! I look forward to helping you attract enthusiastic leads, clients and referrals into your Business. P.S. : LinkedIn Mastery is worth at least 4 times what you’re investing today, and that’s not including the value of all of the exclusive bonuses you’re getting! Before long, the price will most likely double – we simply can’t let this go at a near-giveaway price forever. So if you don’t want to miss out, be sure to get it now! You want to grow your connections. I can offer you a guarantee on the LinkedIn Mastery System, but I can't guarantee specific results. As a Trainer, you know how it is; some of your clients will get awesome results from your work together while some just don’t get dramatic results. I don't know why this is, but I think it's safe to say it's true across most professions. Here's the bottom line: You have to put the information to use to get results. You've got to stick with it, test, tweak and keep going. If you're looking for a "magic pill" or an "easy button" that'll make you money, I'm not your guy. If you’re willing to go through the course and then put it to use, knowing you are playing the long-game, then you will take yourself closer to success and be happy with your results. No problem! I stand behind the LinkedIn Mastery training and offer a risk-free, no-questions-asked, money back guarantee. Just let me know within 30 days if, after going through the system and applying what you learn, that you didn't get any results. I'll give you a full refund. Please just send me back any course material I may ship to you.